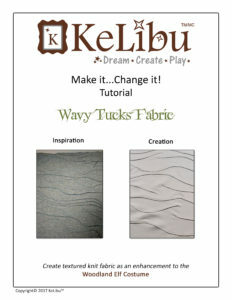 Would you like to learn how to add curved tucks to knit fabric to create a fantastic textured look? It’s super EASY! You can do it with just a little bit of time, a lot of straight pins and an iron. 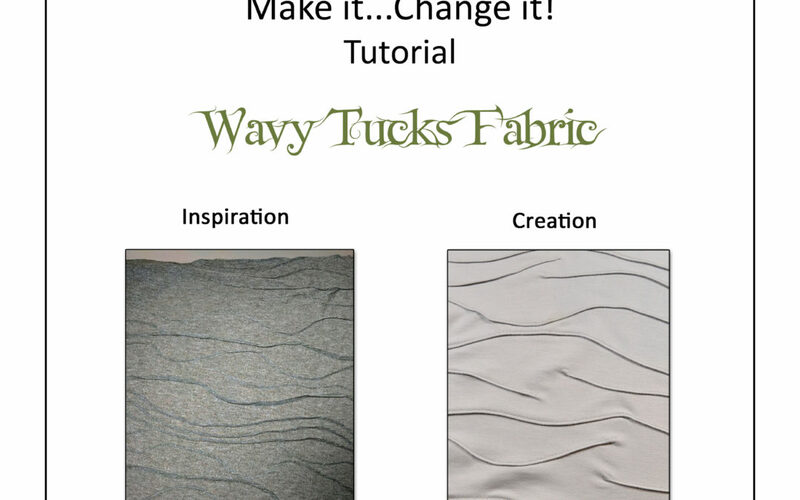 This fabric looks particulary great when used for the leggings in the Woodland Elf Costume patterns.